A new pop-music collective from Iqaluit wants to put Nunavut on the map! 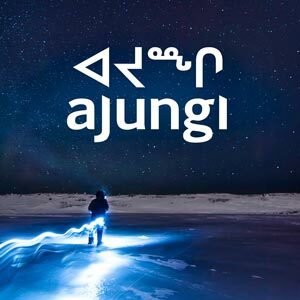 “Ajungi” – or ‘people who are capable’ in Inuktut – is the name of a new collaborative arts project, hoping to release world-class entertainment with northern themes and messages relevant to life in the Arctic. Their first single, “Home Forever”, describes tragic-yet-realistic stories from life in Nunavut, and offers a message of hope from one of Nunavut’s founding fathers, Jack Anawak. Ajungi currently features singers Natashia Allakariallak and Joanne Ashley, the rapper Adam Tanuyak (Hyper-T), and 10-year-old throat-singers Olivia Ashley and Maya Twerdin. The song was written and produced by Iqaluit-based music producer Thor Simonsen (THOR), who has previously worked with many other Nunavut musicians, including Kelly Fraser, Brian Tagalik and Christine Tootoo. Home Forever is available for free download until Nov. 5, 2015.